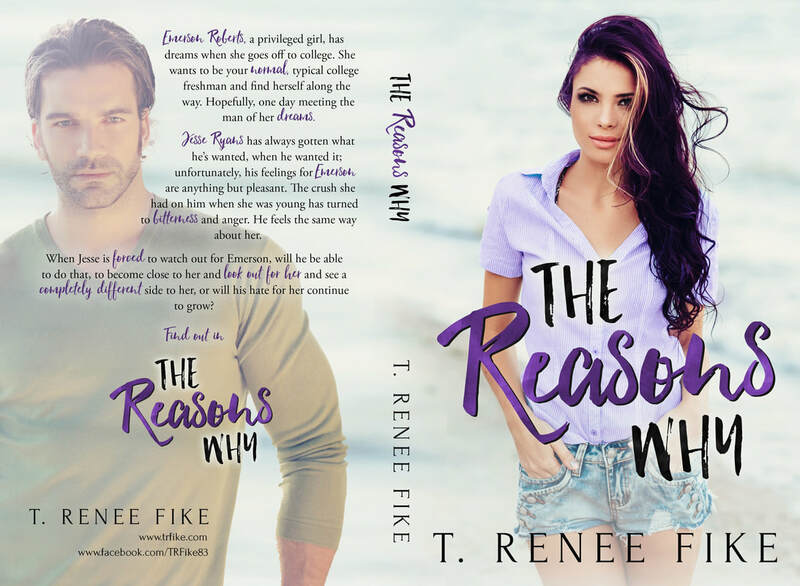 The Reasons Why Available Now! Emerson Roberts, a privileged girl, has dreams when she goes off to college. She wants to be your normal, typical college freshman and find herself along the way. Hopefully, one day meeting the man of her dreams. Jesse Ryans has always gotten what he’s wanted, when he wanted it; unfortunately, his feelings for Emerson are anything but pleasant. The crush she had on him when she was young has turned to bitterness and anger. He feels the same way about her. When Jesse is forced to watch out for Emerson, will he be able to do that, to become close to her and look out for her and see a completely different side to her, or will his hate for her continue to grow? Find out in The Reasons Why!